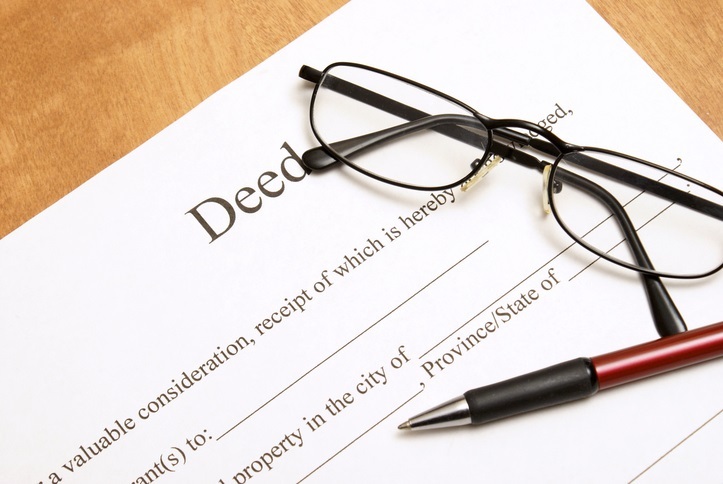 Quitclaim deeds – Commonly used by divorcing couples when transferring all rights to their property to one of them, a quitclaim deed makes no guarantees about the extent of someone’s interest in a property, but it does transfer whatever interest they do have. It may also be used to cure technical defects in a title and/or to eliminate potential claims against the property from anyone who may have an uncertain or potential interest in it. Grant deeds – The most commonly used type of deed in most states, a grant deed transfers ownership and signifies that the title has not already been transferred to anyone else and that it has not been encumbered. Warranty deeds – A warranty deed also transfers ownership, but explicitly promises not only that the seller has good title with no encumbrances except as stated, but that the grantor will warrant and defend title against any possible claims to the property. Trust deeds – A trust deed, or deed of trust, is not used to transfer property. It’s a version of a mortgage commonly used in some states. Essentially, a trust deed transfers title to a ‘trustee,’ usually a trust or title company, which holds the land as security for the loan. When the loan is paid in full, title is transferred to the borrower. The trustee has no power unless the borrower defaults, in which case the trustee can sell the property and pay the lender from the proceeds without first going to court. All deeds must be signed and notarized, and then recorded, or filed, in the County Recorder’s Office or the land records office of the county where the property is located. The recorded deed then officially becomes a part of the property’s chain of title.